We will do everything we can to ensure you have an enjoyable visit! We will work extremely hard to make sure your holiday is memorable for all the right reasons. We promise to operate with full integrity before, during, and after your tour with us. 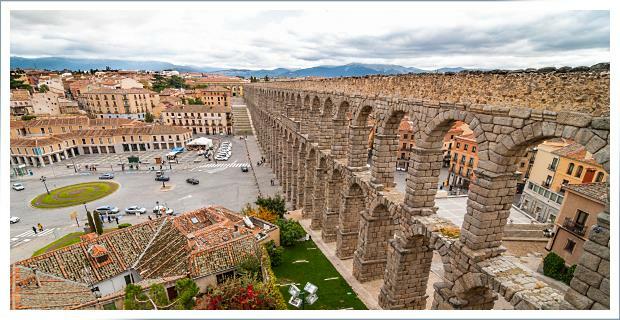 We will email you within 2 days of your visit so please let us know what you think of Madrid and our services and we pledge to provide the best customer service in Europe to all our guests! Price: only 115 Euros per person! In our semi-private tour with only 4-6 guests in total! Unbeatable value – pickup saves you any hassle or having to pay for a taxi + searching for unknown meeting point! 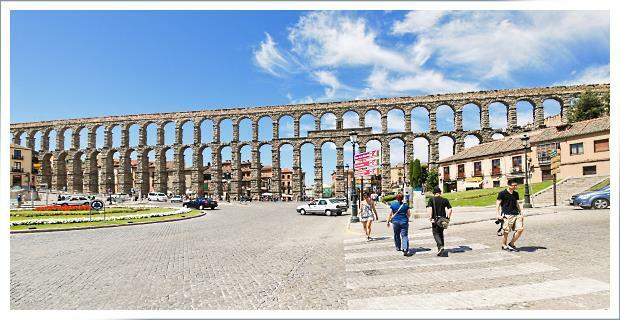 This is our most popular excursion from Madrid! 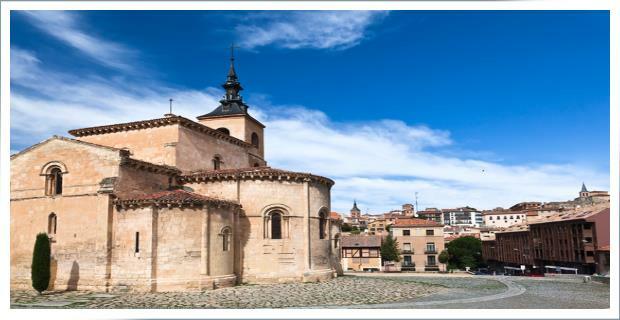 Join us for a wonderful day tour to the beautiful and historic Spanish towns of Avila and Segovia. 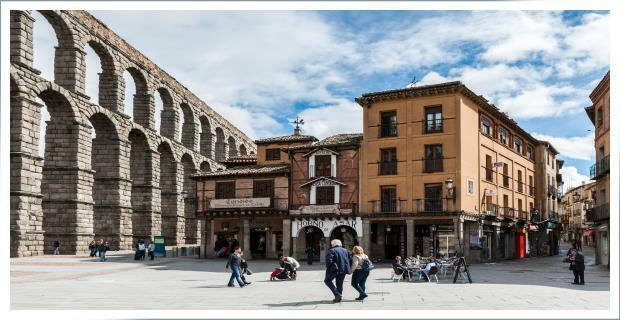 Avila has a perimeter of more than 2.5 kilometers (approx 1.6 miles) of the best preserved medieval walls in the world, and Segovia is now part of the UNESCO World Heritage List and one of the most beautiful cities in Spain. This is a great outing from the Capital for those who wish to see plenty of wonderful sights in one day of travel. We start the day by meeting you at the lobby of your hotel in the morning. From here it is on to the hilltop panoramic view point of Los Cuatro Postes (the four posts) to admire the spectacular view outside the walled city of Avila. 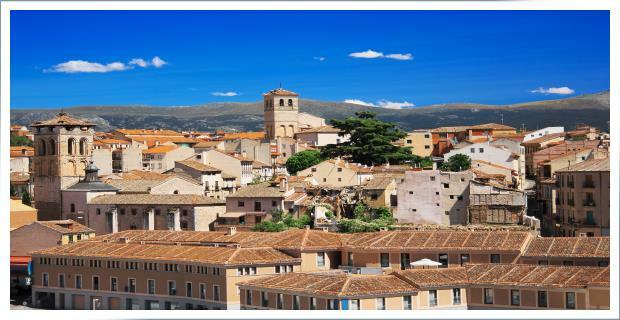 The preserved walled city presents a great photo opportunity from this elevated point. 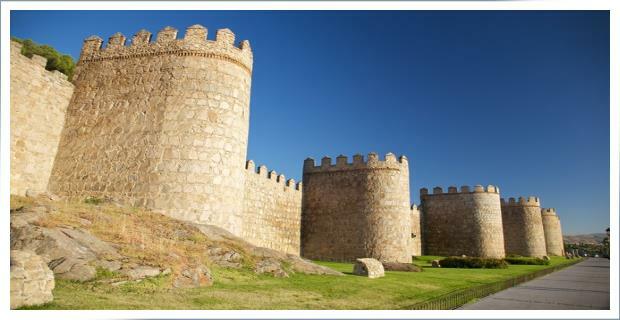 Onto Avila and time to discover the 88 towers, 9 gates, Romanesque-style churches, gothic palaces, and one fortified cathedral. 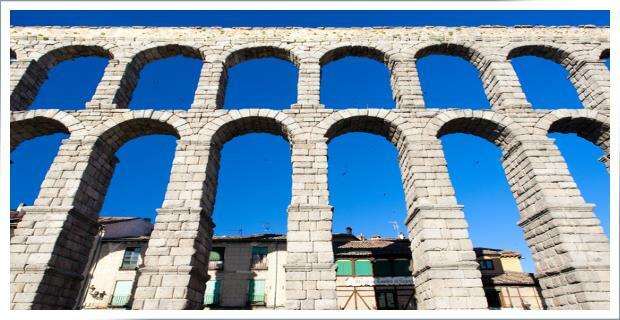 Back in the van and we are on our way to Segovia, a UNESCO World Heritage site, most famous for its incredible Aqueduct, a relic of the Roman Empire. 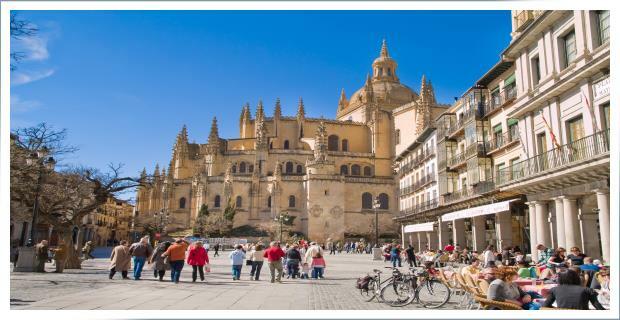 We will have time for lunch in one of the many restaurants in the city after which we will explore the Alcazar, a stunning eleventh century medieval castle set on a rocky outcrop. 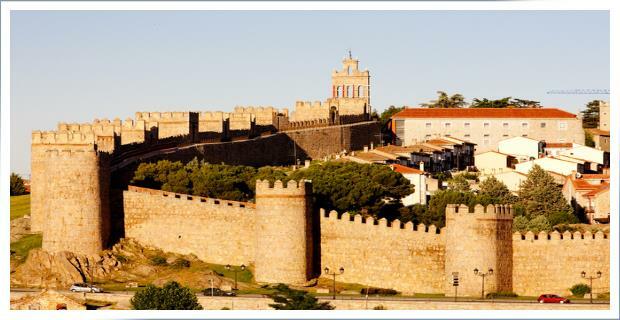 A favored royal residence for many Spanish kings. The fairytale-like castle is said to be the inspiration for the famous Disney Castle. This is a lovely day tour with plenty of sights for those who enjoy architecture, history, and culture. We hope that you have the time for this great excursion as we constantly receive excellent feedback from people who travel with us for this trip. You can use the short form below to find out about availability, prices, and information for your specific date and group.